manjaly builders & developers are designed to cater to families who have dreamt and pined to own a cozy home nesting in rural setting in the heart of Thrissur, where you can experience the warmth of homeliness. 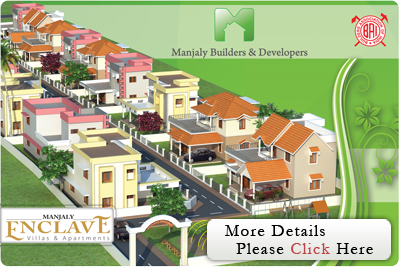 Manjaly Builders & Developers give you a healthy, serene, peaceful, comfortable and pleasurable life. 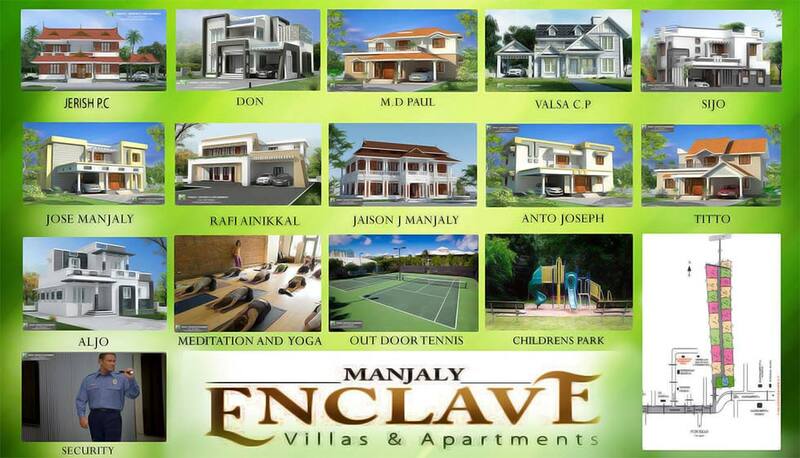 manjaly enclave located near Amballur, Thrissur. Enter true magnificence and luxury, two storeyed opulence, that will reflect your sense of style. Come home to a different world. The manjaly enclave makes of quality construction and classy finishes will make your place 'a home' you would proudly covet. Over the years we are doing well on financial grounds. The annual turnover of the Company is around Rs75 crores and the value of its multiple projects in hand is around Rs.115 crores. We anticipate a financial turnover of Rs. 170 crores in 2010-'11. Manjaly Infrastructure Pvt.Ltd. Manjaly Infrastructure Pvt.Ltd.